Like That @ Sunshine House - Help us get to Pride! 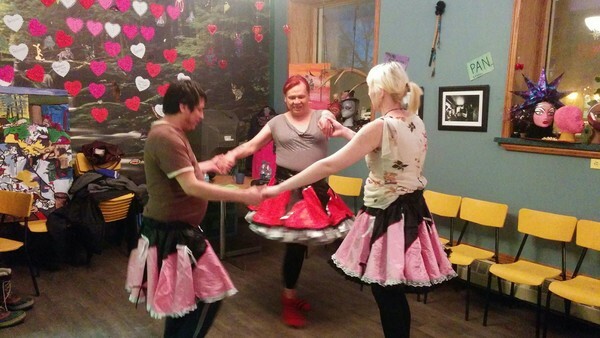 by Sunshine House Inc.
Like That @ Sunshine House - Help us get to Pride! Sunshine House Inc. hasn't added a story. 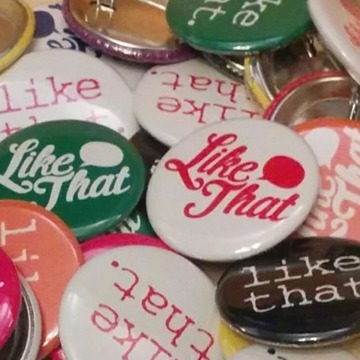 'Like That' began this past December as a pilot project, with a seed grant of $5000 from the Winnipeg Regional Health Authority. This grant was only intended to carry the program from December until April, with the program running only twice per month. Like That was an immediate hit, and in January we were given a very generous donation from QPOC-Winnipeg's New Year's Eve fundraiser, showing amazing support for the program! We also increased the program from twice a month, to once per week, in order to better support participants. We need your help to keep it going! Our immediate goal is to get Like That participants to the Pride parade in June, and we plan to build our own float for the event! We need another $5000 to fund the program through June. 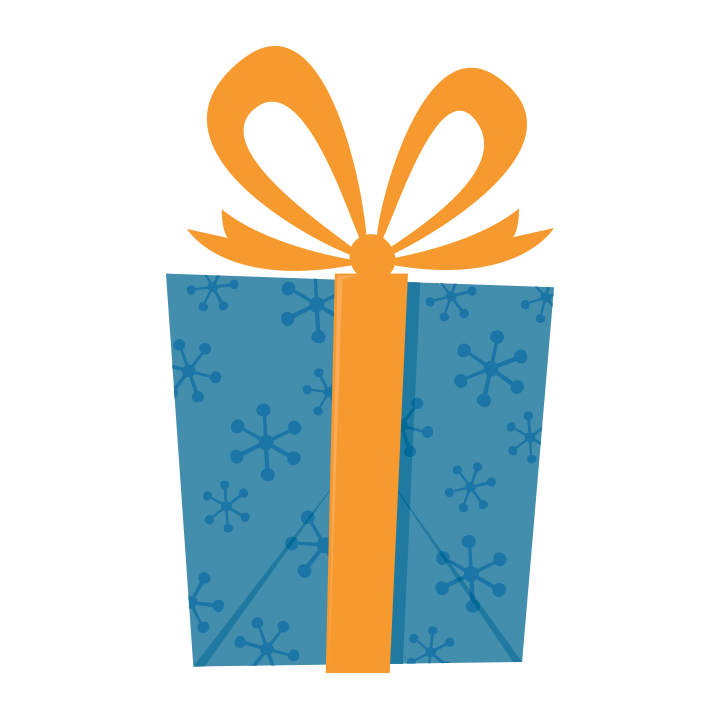 NOTE: You can donate ANY AMOUNT by clicking the big orange 'Contribute' button at the top of the page! No donation is too small! Our only strech goal is to keep the program going! Any donations we receive over the $5000 will allow us to keep Like That going that much longer. We don't want it to end! Follow Sunshine House on Facebook and Twitter! Thanks to John, William, and Like That participants for your amazing work on the video, and to Jess for designing our incredible poster! What does 'Like That' mean? What do you do during Like That? Every Monday night at Sunshine House we engage in creative and/or skill-building activities, with the goal of gaining self-confidence, exploring creativity, taking risks, and building a positive space together. We have had a cooking night, learned about painting and brush techniques from an artist, painted mannequin heads (which will be on public display! ), learned jigging, and held a ‘Miss Like That’ pageant! Future activities will include drum-making, beading and sewing, holding a community concert, and of course, we will be building and entering a float in the Pride parade this June! We also created the video for this fundraiser, and will be collaborating in the creation of a music video! What is unique about Like That? 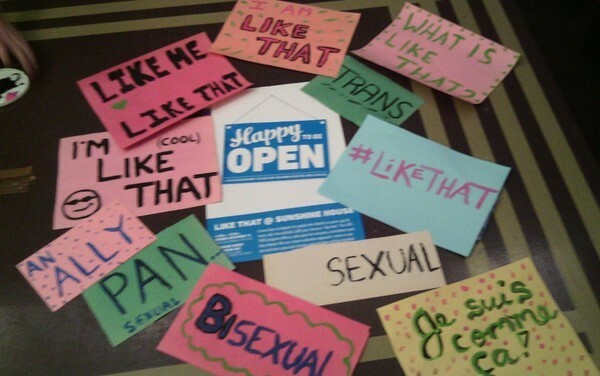 Like That is a participant-driven program where people of all genders and sexualities can come in and be part of something, while exploring their creative side! Unlike typical top-down program delivery, the path that Like That takes is decided collectively among participants. This results in the creation of a space which participants see as theirs, and a relationship where participants and program facilitators are peers, doing away with the typical client/professional relationship. Like That strives to be an inclusive space for folks who may feel less comfortable in other community spaces or programs. Like That also creates peer relationships and breaks down barriers between participants and other community agencies by inviting members of friendly organizations to participate! Like That is open to everyone! There are no limitations on who may attend, and we are not confined to working with any one population. By generating our own funding (from people like you!) we do not have to work under restrictions that often accompany grant-based funding, such as focusing on a specific population, and thus we can welcome everyone! Sunshine House operates within the principles of harm reduction, so people come as they are, and are welcome to participate however they wish. We use education and recreation as tools of prevention. PERKS & TAX RECEIPTS: Firstly, yes, tax receipts are available for your donation! A PDF receipt will be automatically emailed to you. You may notice the amount is slightly lower than what you donated; for tax purposes, we must deduct the base cost of the perk from your donation, so that the net amount donated is accurately reflected on your receipt. YOUR ADDRESS & PERSONAL INFO: When submitting your payment, you may be asked to provide your address for our records; this is so we know where to send your perk! Please do not skip this step, or we won't be able to send you this awesome thing we made you! You may also need to provide your address during the payment process; this is required for your tax receipt (also, your address might be required for verifying your credit card, as per usual with credit card transactions). The payment systems in use are 100% secure, and we will not use your address, email address, name, or any other information about you for any reason beyond what is needed to fulfill your transactiion. QUESTIONS? If you have any questions about Like That, Sunshine House, this fundraiser, your donation, your perks, or anything else relevant to this campaign, don't hesitate to email us at admin@sunshinehousewpg.org. We do not pay anyone to do our fundraising (except for a tiny transaction fee for using Fundrazr), so all the funds we collect go directly into Like That and Sunshine House! Sunshine House operates with no core operational funding; that means we are completely dependant on one-time grants, and donations from great folks like you! Our amazing staff, volunteers, and participants work miracles on a shoe string to keep the doors open at Sunshine House, and to keep our programming going. We greatly appreciate your support! Thank you! 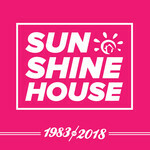 Sunshine House Inc. hasn't posted any updates yet. Sunshine House Inc. is managing the funds for this campaign. 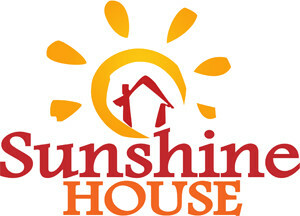 Sunshine House Inc. is a verified organization.